It's still a new round. But of course it is far from new. And far from typical of the sort that has parachuted onto the modern F1 calendar lately. 22753552172/, CC BY-SA 2.0, https://commons. Mexico has considerable F1 heritage, as well as considerable F1 presence. And when it reconvened as an F1 host two years ago it confirmed too that it bows to few when it comes to the quantity and passion of its fans. 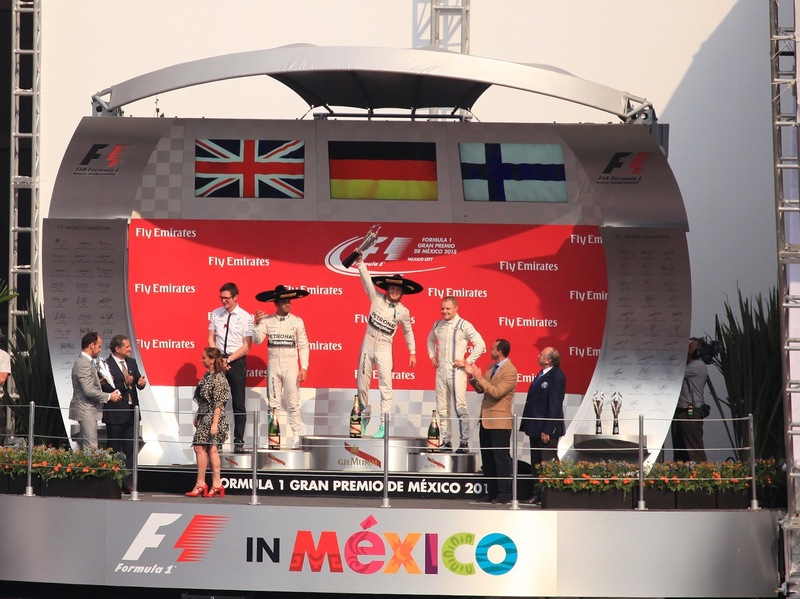 F1 returned then to Mexico for the first time since 1992 and indeed to the same, albeit revised, Magdalena Mixhuca park venue in Mexico City. And it was not just due to this that it shares little with the often tepid new-fangled rounds of the past couple of decades. Some 350,000 come through the gates across each weekend visit which includes 40,000 packing out the astonishing baseball stadium section, which also hosts the podium ceremony and provides a football crowd-like atmosphere. F1's return moved even sober Niki Lauda to describe it as the best F1 event he had attended. The tweaked layout of the Autódromo Hermanos Rodríguez neutered the fearsome Peraltada (inevitably but sadly) and it meant the layout suddenly became one thing that did have a 'typical Tilke' air about it: long straights - particularly a 1.2 km start-finish stretch - book-ended by slow turns with a bit of twisty quicker stuff elsewhere. Not unlike Bahrain. You might think that lengthy flat out blasts at low altitude - at some 2,250m the highest on the itinerary - would suit the grunty Mercedes, but the silver squad doesn't see it that way. That low altitude also means cars can pile high on downforce as there's little drag penalty, and the Merc has struggled relative to Ferrari and Red Bull this year when downforce is maxed. Also the track surface is smooth and there are not many quick corners to heat the tyres up, which may mean it struggles to get the rubber into a good operating zone a la Sochi. 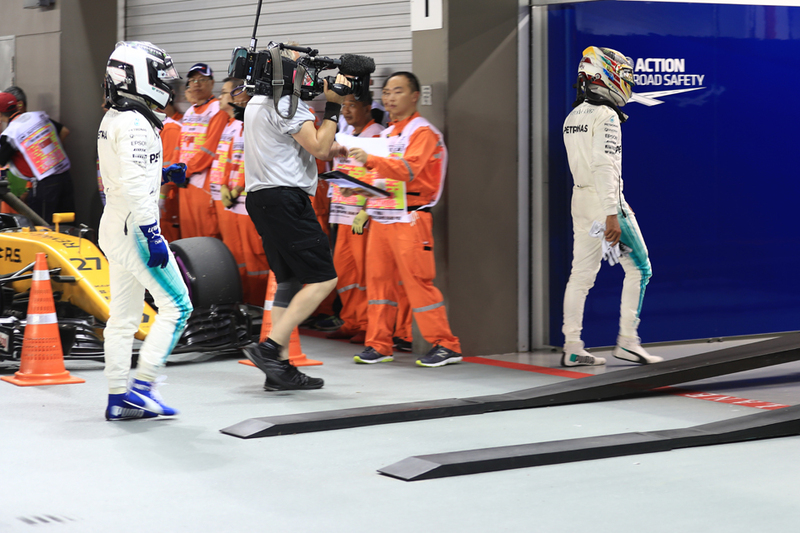 As we know too Mercedes doesn't just have one rival team to worry about these days. While Ferrari has tended to be on top on high downforce circuits in 2017 Red Bull hasn't been far away on them and more generally has been near or at the front consistently in recent rounds. Red Bull put in a strong showing last year here and Max Verstappen's qualifying best was just three tenths off pole and a tenth off splitting the Mercs. Even with the air thin and the track supposedly 'low grip' Red Bull usually can be counted upon to find grip that no one else does. After this one too Interlagos and Abu Dhabi also have twisty stuff that may suit Ferrari and Red Bull more than Merc. It's just as well for the silver squad therefore that Lewis Hamilton's 2017 title now looks as near a racing certainty as you can have - he'll wrap it up in Mexico so long as Sebastian Vettel doesn't out-score him by 17. 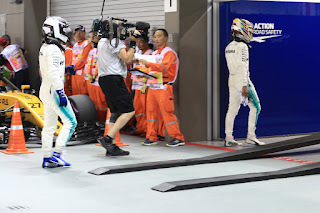 Another consequence of the altitude is that it closes the field up - presumably due to the chief discriminator of downforce being harder to put into effect. To wit, in the first part of qualifying last year first to 12th was separated by just over 1.1 seconds. This of course has implications, not least for the number of runs and the tyre compounds used in the quali hour. As for those behind the 'big three' teams, Nico Hulkenberg will be worth watching as last year here he qualified fifth, ahead of the Ferraris, and finished seventh. 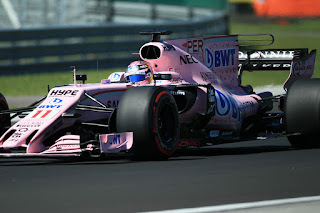 That was in a Force India, which also will likely show up well this weekend. 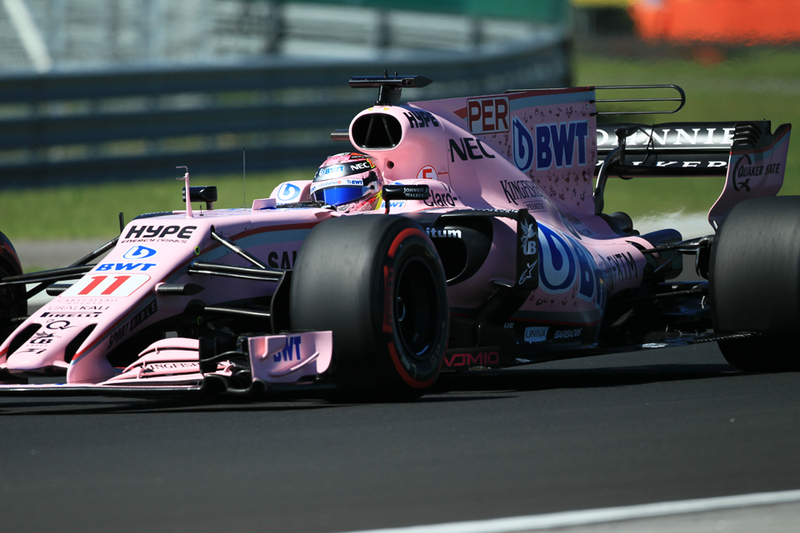 It usually flies in a straight line and Sergio Perez will of course be particularly keen for a strong result at home. Hulkenberg's new Renault team mate Carlos Sainz was many people's star of the show in Austin meanwhile, and will have many keen eyes on him this time too. For McLaren though the weekend is likely to be something to be be got through - the Honda was ceding 20km/h on Austin's main straight and Fernando Alonso may well have grid penalties this weekend after his failure in teh US race. In the previous two Mexico visits tyre degradation has been minimal and last year indeed was akin to an old Bridgestone race - Jolyon Palmer did almost an entire race distance on a set of mediums. Like the Bridgestone days too track position was all - in through-the-looking-glass F1 not even those lengthy straights mentioned did much (or anything) to aid overtaking. Pirelli has attempted to spice things up by bringing the softest compounds though - the ultrasoft, supersoft and soft. But one-stoppers have been the norm this year even on tracks tough on rubber, so there is little reason to anticipate multi-stopping this Sunday. Rain is unlikely too. Still this track can surprise - degradation was higher than expected in the 2015 race while last year too Daniel Ricciardo needed to make an extra stop near the end. Indeed the Vettel vs the Red Bull pair rumpus in the late laps was set up by the three cars being on divergent strategies that came together. Another aspect of the low air density though is that cooling of things such as the brakes becomes more marginal. But it's one of the few things about the Mexico visit that can be doubted.